PRICE IMPROVEMEMNT!!! 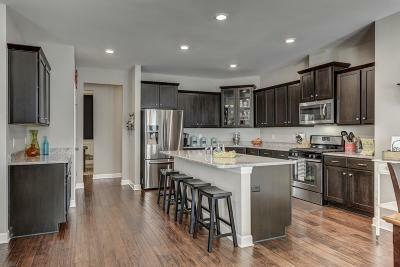 Practically brand new construction in the highly sought after Kelsey Glen neighborhood. This Pierce floorpan features 3 oversized bedrooms (all on the main level) and 2 large baths, a large office, full size dining room, open concept family room and kitchen with stainless gas appliance package, gas fireplace, entertainment package, a huge bonus space up with half bath, fenced backyard with upgraded deck, corner lot with direct access to the pool and playground.